We first reported over two years ago that AMC had picked up the Vertigo comic book series Preacher for development, along with a warning that “for development” doesn’t always mean we’ll be seeing it on our TV screens. In this case, happily, it does; AMC will begin airing the series in May. It stars some familiar actors — Dominic Cooper, who’ll be playing Jesse Custer aka Preacher, has been playing the younger version of Howard Stark on Agent Carter; Ruth Negga, who plays his ex-girlfriend Tulip, spent a fair amount of time on another Marvel agent-related series, Agents of SHIELD, as Raina; and the kid you’ll be seeing in the trailer below, Thomas Barbusca, was one of the vampire kids on American Horror Story: Hotel, as well as the very annoying Peter Pan in those Peter-Pan-at-the-high-school-reunion commericals. You’ll recognize Joseph Gilgun‘s picture if you saw the British, original version of Misfits. Though you won’t see them here, also listed on the cast are Jackie Earle Haley (he’s been in loads of things, but I loved him most in Human Target) and Lucy Griffiths (True Blood, Constantine). 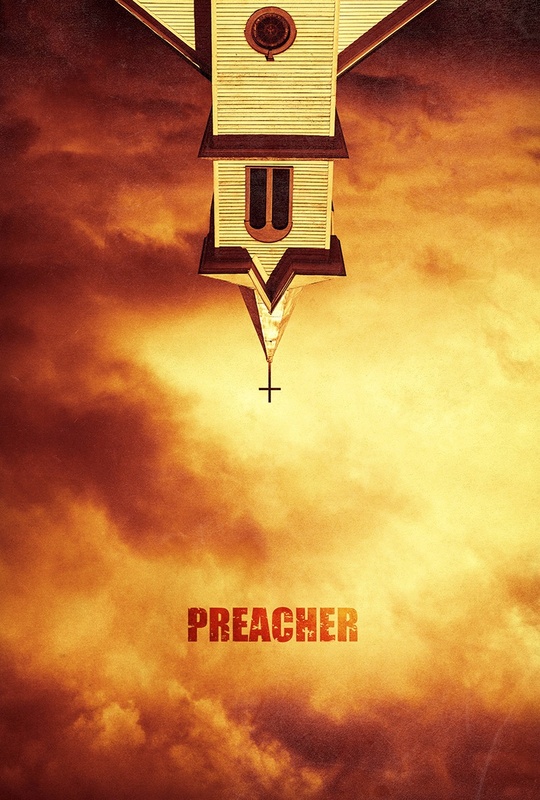 Preacher is a supernatural, twisted and darkly comedic drama that follows a West Texas preacher named Jesse Custer, who is inhabited by a mysterious entity that causes him to develop a highly unusual power. Jesse, his badass ex-girlfriend Tulip and an Irish vagabond named Cassidy come together and when they do, they are thrust into a crazy world populated by a cast of characters from Heaven, Hell and everywhere in between. 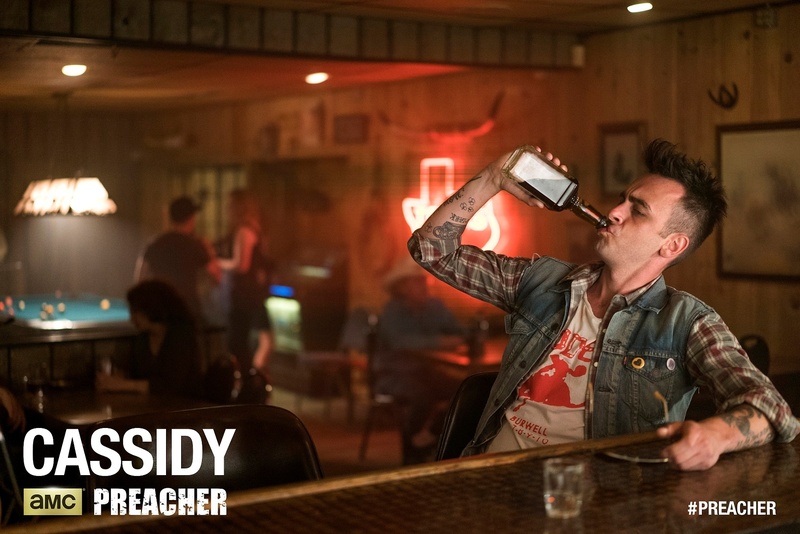 Preacher, starring Dominic Cooper, Joseph Gilgun, Ruth Negga, and Jackie Earle Haley, premieres in May on AMC.